regularly and effectively to lower high blood pressure! Mr​​​ Png Eng Keat, Physiotherapist at the LIFE Centre, Singapore General Hospital (SGH), a member of the SingHealth group, shares tips on how to exercise right to lower high blood pressure. There are many types of exercises, but aerobic (cardio) activities are best at lowering blood pressure. Aerobic exercises include basketball, tennis, jogging, swimming, and even household chores like mopping the floor. You have to maintain moderate intensity to achieve benefits. Do at least 150 minutes of moderate intensity exercises per week, as recommended by Health Promotion Board. Do not be alarmed if your blood pressure rises during aerobic exercises. This is temporary. Another type of exercise that may help lower high blood pressure is weight training. Please note that weight training, like aerobic exercises, can cause a temporary spike in blood pressure, especially when you hold your breath or lift very heavy weights. Over the long-term, weight training lowers your blood pressure and benefits your overall health. If you don’t have enough time to do a 30-minute exercise session during the work week, consider breaking up your workout into 10-minute blocks. This would be better than squeezing all your physical activities into a weekend, as sudden bursts of activity could be risky to your health. It can also put you at risk of certain musculoskeletal injuries. 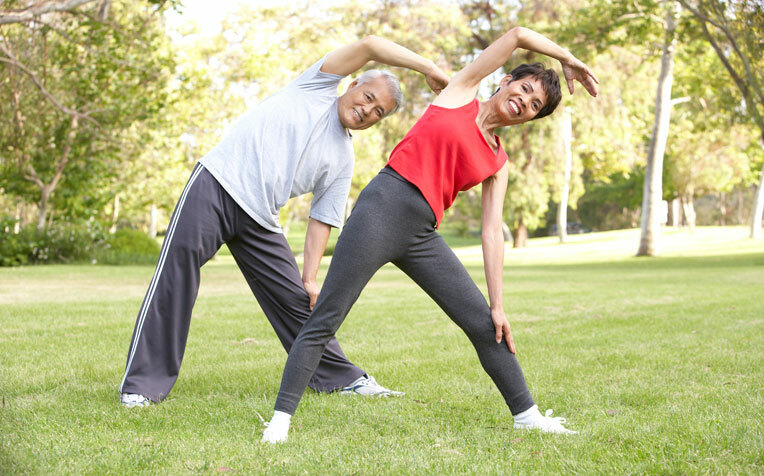 If you experience any chest pain or tightness, dizziness, excessive fatigue, or severe shortness of breath, stop exercising at once and seek medical help immediately. Before starting any exercise program, you should consult your doctor too. When will you see lower blood pressure results? To keep your blood pressure within a normal range, you have to keep exercising. It can take anywhere from a few weeks to three months to see results. “After an acute bout of exercise, you can actually see some blood pressure lowering, which can be maintained for hours. This is known as the post-exercise hypotension (PEH) effect,” says Mr Png. At the same time, do not neglect other aspects of your treatment such as keeping to a healthy, low-salt diet and taking medications as prescribed by your doctor.